I have been overweight my entire life. Name any diet out there, I’ve tried it. 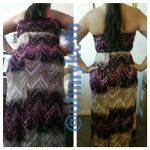 I lost 100lbs 3 years ago only to turn around and gain back 65lbs. 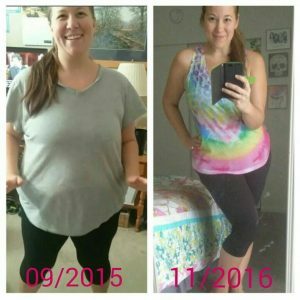 I needed a life change, not another diet. 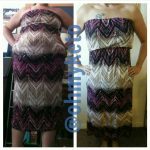 I started my keto lifestyle in May 2016 and it’s the best decision I ever made. This is difficult to post but I think it’s so important to show what’s possible when you stick to your goals. I still have days where I feel like I haven’t lost enough or that I’m never going to get to my ultimate goal. It’s pictures like this that prove anything is possible if you fully commit yourself and push thru any obstacles. I couldn’t even pull those jeans all the way up and that shirt was having no part of trying to stretch over my tummy! 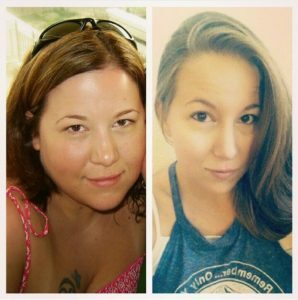 After trying and failing at every diet I could find, Keto changed everything for me. 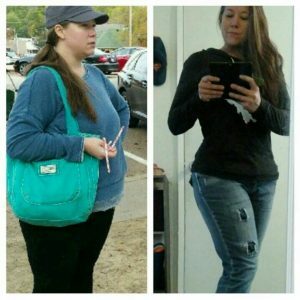 It has allowed me to still enjoy all of my favorite foods and feel amazing while losing the excess weight that made me fall into a very unhealthy range. 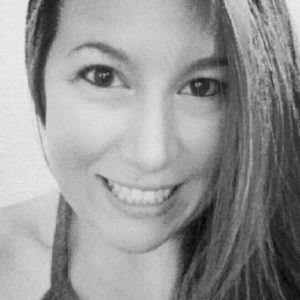 Keto gave me my life back, it stopped the binges and taught me that I can do anything, even if it seems impossible at first! Please don’t give up on yourself! You deserve it just as much as anyone else and it is possible!! How do you know how much of what to eat like carbs ? I stay under 20g of carbs but if you click on the Keto Calculator link in the menu at the top of the page, it will give you personalized macros so you know exactly what you’ll need to consume each day. I’ve been following you since, well seems like forever but must have been mid-2016. 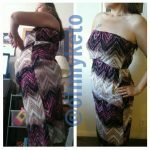 You’re one of my absolute favorite Keto IG pages, as we cook in a similar fashion. I love flavor and variety, and I remember trying your chicken paprikash from an original post (I still have saved on my phone) and I love it so much (among many other recipes)! I’m so happy to see you have a website to compile all of your sought after recipes. I just found it and can’t wait to dive in! Thank you so much!! I’m so happy to hear that you enjoyed the paprikash so much and I hope you love everything else you try as well!